Our sandwich panels combine a precision engineered aesthetic with excellent acoustic performance values. Featuring openings created by milling on both sides of the panels face, our sandwich panels are self-contained acoustic panels, requiring no additional acoustic backing. 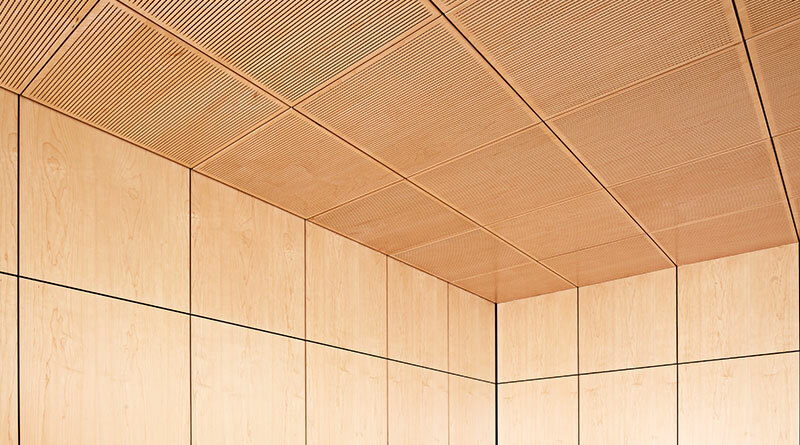 Our sandwich panels are available in a range of surface finishes, with maple and walnut being particularly popular. We offer a wide range of finishing options and can cater to your needs in terms of fire classification, sustainability and appearance. We can also provide architectural joinery items such as custom trim, skirtings and returns, so you can be sure of consistently high quality and a project that runs more smoothly. 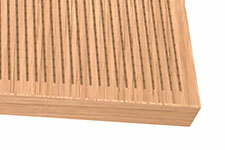 Openings in panel are created by saw cuts (mills). 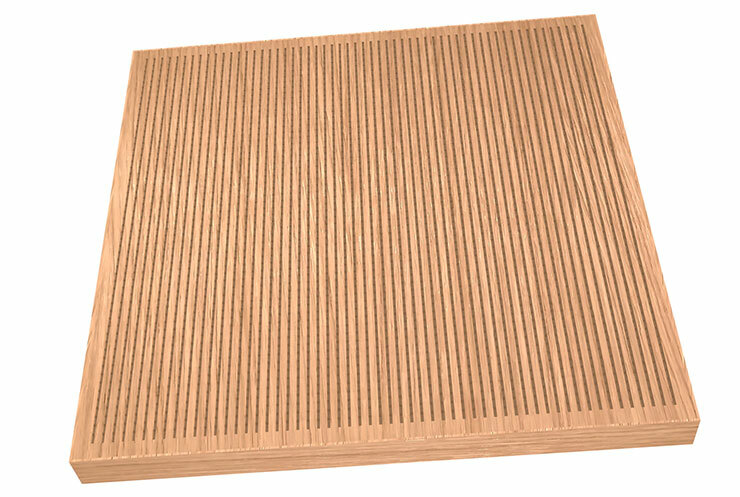 A layer of acoustic foam is “sandwiched” within the wood for a self contained, high performing acoustic panel with a premium look and feel. Download spec sheets for performance data on individual products. For information on our standard products, including acoustic performance data, please download spec sheets below. You can also download Sample Specification Text Here. Over the years, Woodfit have constantly strived to stay ahead of the industry curve in terms of sustainability and we remain committed today! The wood we use at Woodfit Acoustics is a naturally sustainable material, being sourced from well-managed, renewable forests. The method of facing fibreboard with natural wood veneers is used in the vast majority of our products and is a highly efficient way of harnessing the beauty of wood, with .6mm veneer providing up to forty times the coverage of 25mm solid. 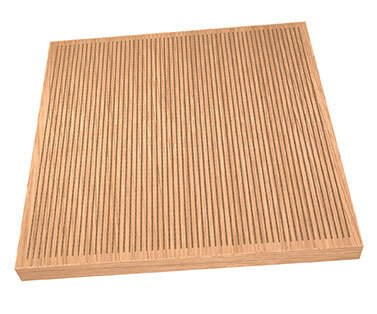 Fibreboard is manufactured from wood fibres sourced from forestry bi-product and co-products, allowing for the efficient use of materials that would otherwise be wasted. We maintain a policy of reducing the emissions and waste associated with our products on a constant basis. Wherever possible, we use VOC (Volatile Organic Compounds) free finishes and low formaldehyde MDF boards. 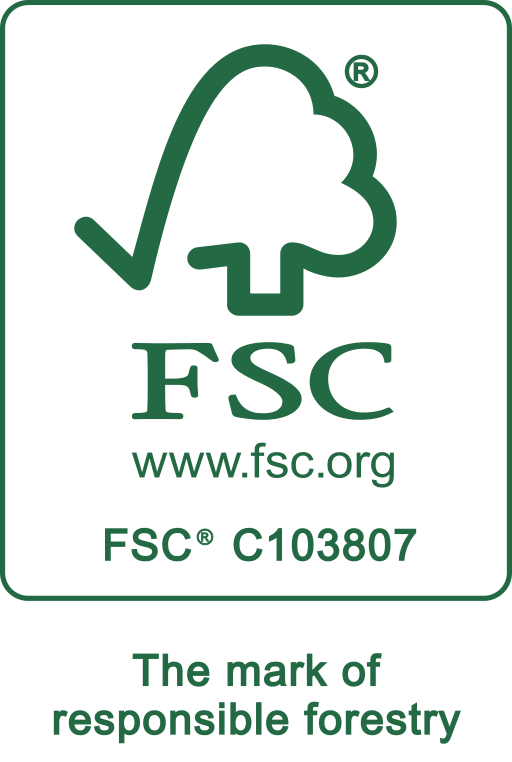 Woodfit Acoustics hold “FSC® Chain of Custody Certification,” allowing us to provide FSC® certified products, sourced from responsibly managed forests around the world. 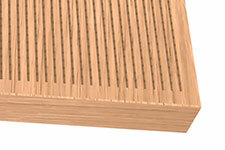 Woodfit Linear panels can be made to order to meet a range of fire classifications as required.